This week more than 7,000 professionals working in senior housing and related businesses converged in New Orleans, LA, to share their passions, learn from each other, and return back to their communities inspired to continue doing great work for the older adults they serve. 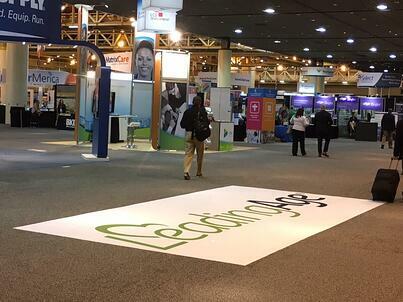 I was honored to be at the LeadingAge annual meeting both as an attendee and as an exhibitor. There's the "duh-why didn't I think of that...it's brilliant" way where I'm usually listening intently in a session, scribbling copious notes and the speaker says something that resonates deeply for me. And there's the "thinking about it later" way that usually comes up when I'm reflecting on the day, on the people I met, and the conversations I had. Below are a few of my takeaways that, not surprisingly, fall into both of those categories. My first session of the conference was "Nature Meets Nurture: Designing a WELL Building". The content of the presentation was interesting; I had read some about the WELL Building Standard, and the session helped me get a better understanding of how the standard applies at a more practical level. What struck me during this session was when one of the speakers categorized the Standard as moving forward, moving beyond the status quo. I realized that's true of so much work being done in senior living. Status quo is not the same thing as thriving. Moving forward, doing better, trying new things is not equal to doing what we've always done. Of course, this isn't just true for how we build communities; it's true in the areas where NIFS works as well, including building and executing on a life enrichment or fitness program strategy, and I have already started looking with fresh eyes at how we can help communities move past their status quo to build thriving living environments for their residents. There is no one-size-fits-all solution that works in every community and the volume of providers stationed through the exhibit hall is proof. Even in our work with a family of communities all united under the same brand, our delivery of services is unique per location because the resident and client desires drive the strategy. The LeadingAge expo was a great reminder that communities deserve creative and flexible partners who are willing to adjust their models to meet unique needs. The flip side of the creative partner coin is the open-minded senior living community. If you strolled the expo thinking (or saying) you don't need X product/service because you already have it covered, see #1 above. Maybe rethink that "we already do that notion" and give a second look to the information you gathered form the expo before you put it in the recycling bin. There just might be a nugget in there to help your community make a move toward thriving. As I sat in the Redefining Resident Engagement session with Michelle Holleran and Tim Johnson, I was intrigued by the Holleran model for the four domains of engagement. (Grab the whitepaper here.) My early thoughts were all around how much the domains are the resonsibilty of a communitiy's life enrichment director. 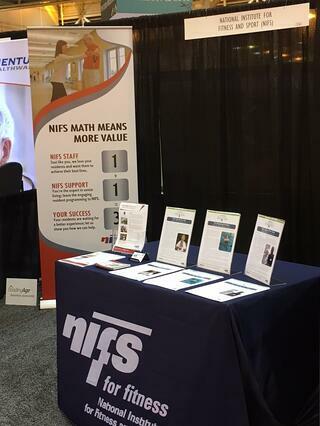 [Full disclosure - that role is kind of a sweet spot for NIFS as we consult with and provide staffing solutions for communities in that role.] However, the further we got into the session, the more I realized how deep the idea of engagement really runs. There are lots of ways to improve traditional activities in communities, and many of those opportunities rest squarely with your Life Enrichment staff doing their jobs differently. Yet, beyond the prominent role your Life Enrichment department plays in facilitating opportunities for resident engagement, it is the entire community supporting those opportunities, connecting with residents, and communicating with each that is the foundation for engagement. Residents also have to be present at a fundamental level. We should not be simply filling an activities calendar and calling it done. For strong engagement, we have to invite residents into their own life story and then step back to allow them to live it. If you attended the 2017 LeadingAge Annual Meeting and Expo, I'd love to hear your key take aways in the comments below.